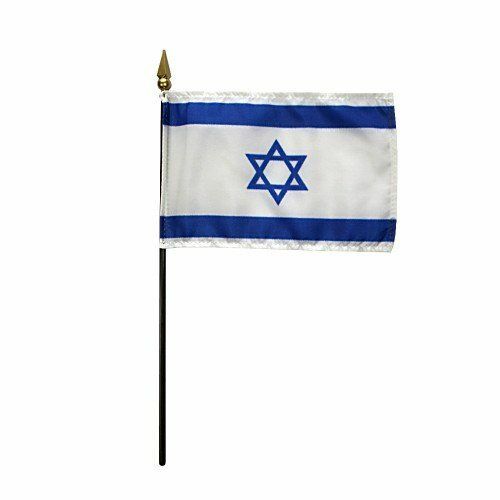 Demonstrate your Jewish faith with these handheld Israel flags. AmericanFlags.com stocks handheld Israel flags in sizes 4" X 6" and 8" X 12." These well-made flags feature an ebonized staff and deluxe gilt gold spearhead.